That depends on what your objective of learning Thai Yoga Massage is. If you only wish to see what Thai Massage is about or intend to practice on family and friends, then Basic (Level 1) is sufficient. If you intend to practice professionally, you should do at the least two levels, i.e., Intermediate (Level 2), so you can work on all areas including the back. Also read this blog that explain this choice in more detail. Since the medium of instruction is English our international students must have fairly good command over the language to get the best out of the Thai Massage Training. Our instructors do know Hindi and Kannada however more complex anatomical structures must be explained in English. Students should have the basic mobility of limbs and genuine interest to help and heal people. Certification is provided in all courses conducted at the School of Thai Massage irrespective of the instructor (e.g. foot reflexology/ toksen). On the basis of this certificate, you can contact agencies in your country to insure your practice (provided such insurance services are available in your country). To practice legally anywhere in the world you need to have all the necessary licenses from your local council, pay your local/ national taxes and have a legal work status. Concerning practicing in the United States, you will need to contact your state or county to understand the specific licensing laws pertaining to Therapy. Typically you will need to sit and clear a licensing board exam with NCBTMB/MBLex/State Massage Board. Please read this great article on how you can get to practice legally in India or the United States. licenses from your local council, pay your local/ national taxes and have a legal work status. Concerning practicing in the United States, you will need to contact your state or county to understand the specific licensing laws pertaining to Therapy. Typically you will need to sit and clear a licensing board exam with NCBTMB/MBLex/State Massage Board. Please read this great article on how you can get to practice legally in India or the United States. The Basic and intermediate course offers 30 hours certification (4 days X 6 hours) course each. The advanced course is a 30 hours certification. In the United States, Thai Massage is a favorite form of therapy and pays from $40-70 for a session. Most Thai Yoga Massage practitioners in Europe work with existing Spas or clinics which have a commercial license and third-party insurance that are required for operating. Most of our students in other parts of the world practice free-lance and develop their clientele informally. an analysis of the client’s problems. School of Thai Massage is the only Thai massage school in the world that understands this problem and provides 90% of the course material as videos online. Further, our alumni can repeat any course they have already taken with us at NO EXTRA CHARGE. We understand that Thai Massage can be a complicated skill to learn in one course. Therefore, we offer to our student’s free repetitions as many times as they need. 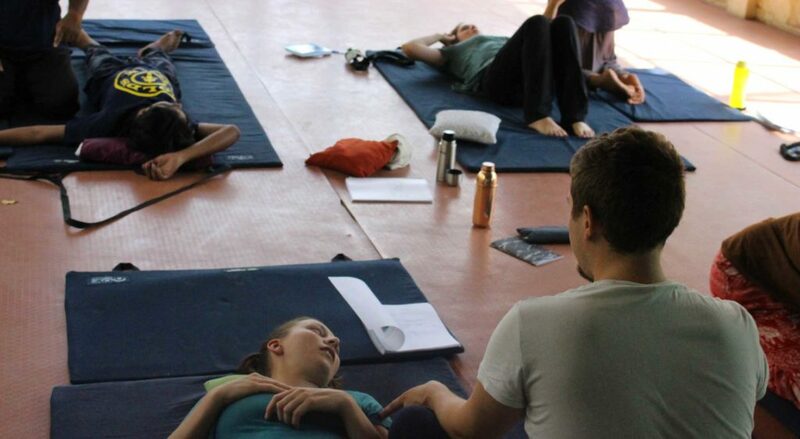 Alumni can join our Thai Massage Training whenever they happen at any venue. They will need to pay the board and lodging if applicable in that place. Yes, we will soon start conducting weekend courses in Bangalore. Please register here to express your interest for it and we will contact you as soon as the schedule starts.